Tighter downrange patterns, better stopping power! Granulated plastic buffer. Triple Plus® wad system for better shot alignment. Federal Classic, 20 Gauge, 2 3/4 20 Pellets 3 Buck Buckshot, 5 Rounds is rated 4.6 out of 5 by 31. Rated 4 out of 5 by Freedom First from Good patterning. Good patterning at self defense ranges, 10 yards and less. My wife likes this buckshot in her 20 gauge, as well as Federal #2 buckshot. Rated 5 out of 5 by Ivan from Great shells Turn your bird gun into a top notch home defense weapon for under five bucks. Rated 5 out of 5 by Mark from Typical Federal quality I got very consistent patterns, from 15-19 yards through a 20g coach gun, and the price was better than the others. If I get any more buckshot for this shotgun, it'll be more of this stuff. Never been disapointed in Federal ammo. Rated 5 out of 5 by Mark R from consistent patterns I just fired a few rounds of this, to test for function in the gun, and see how it patterns (for home-defense purposes). It fired fine, as expected, and the pattern was very good, especailly for the distance, and considering it was just a little double-barrel coach gun.I saw roughly 12"x15" patterns from 15-19 yards, and they started to open up at 20 yds, ( around 15"x20") but still grouped very consistently with no fliers. I'd say that 20 yds would be close to my maximum effective range with this gun's short barrel, which ain't bad. I also counted 19 pellets per shot with this stuff, not 20, but, no complaints. Rated 4 out of 5 by biggen from nice price good product. fast delivery. 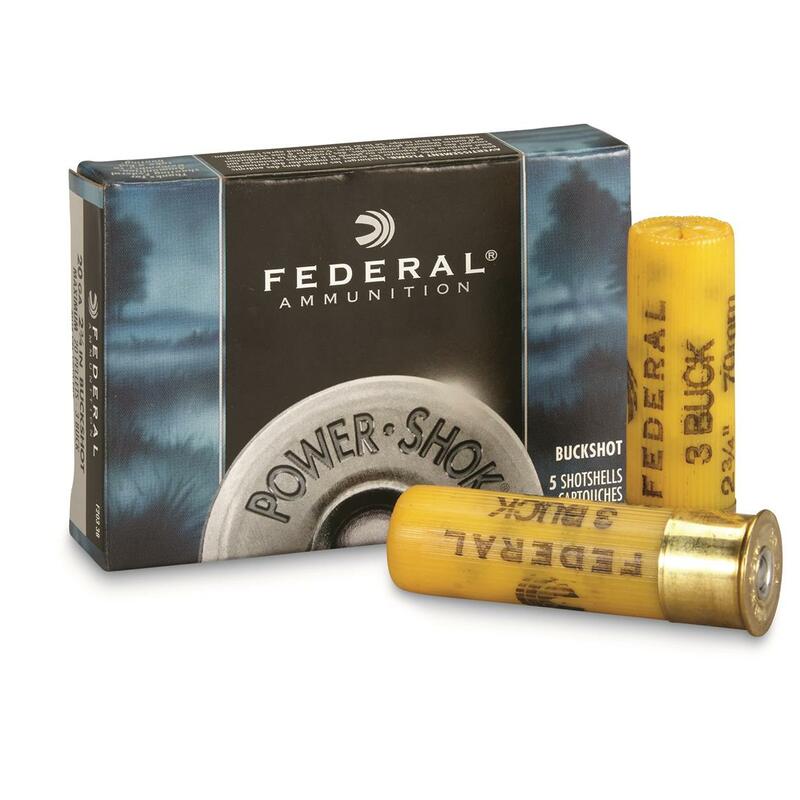 Rated 5 out of 5 by wjanus from Terrific shotshells! I would rate these as near the best on the market for 20 gauge buck shot. Great pattern, nice distance, very reliable.